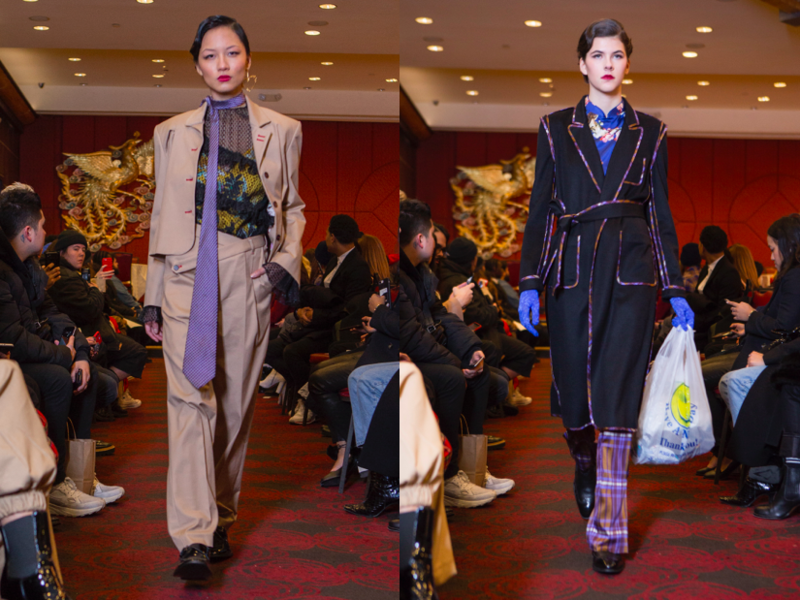 The brands Fall 2018 collection began in the depths of Manhattan’s Chinatown where the feel of east meets west. Inside the venue – Jing Fong – Chinese restaurant – the neutral-gender collection unveiled its self-showing modern city grit juxtaposed with bold Asian fusion references that from Gao’s Beijing upbringing – traditional Qipao dressing and pajamas made popular in the 1930’s – with her affinity for men’s structured tailoring. This cultural blend of the two also served as inspiration for fellow artist Director Wong Kar-wai, who too was born in Beijing and relocated to New York City. His feature film, 2046, is a cinematic study of female strength in which the art of dressing challenges the conventional definitions of masculine and feminine. Traditional suiting in fine Italian wool plaids and jacquards are deconstructed in Gao’s unique design process to create a trompe l’oeil illusion — blazers morph into architectural bustiers or appear as butterflied skirts. 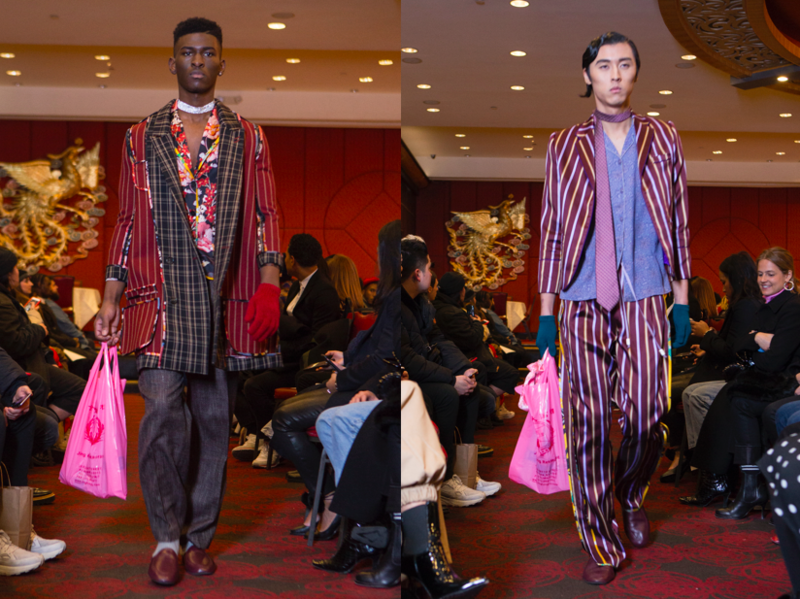 Colorful silk dresses and shirting incorporate jewel tones reminiscent of the Kar-wai film, while market bags and bold accessories punctuate each look. This entry was posted in New York, NYFW, Show Reports, Trend Reports and tagged Fall Winter 2018, nyfw, Snow Xue Gao. Bookmark the permalink.